Invites You to a DVD Screening Party! Monday - October 20, 2008 - 6:30-8:30 p.m.
Katharina Wagner, the new co-director of the Bayreuth Festival and great-granddaughter of Richard Wagner, is interviewed in this documentary. The film captures the genesis of her 2007 production of DIE MEISTERSINGER VON NURNBERG. The inner workings and politics of this festival are probed with visits with cast and crew. Dagmar Krauss is the director of this 82 min. 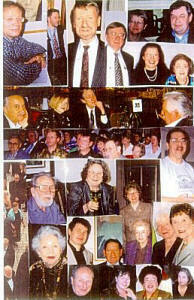 film, which has just been released. For eight months Dagmar Krauss accompanied the 29-year-old Katharina Wagner and her team, filming them in candid moments and revealing the Festival as we have never seen it before. As we witness the development of the production concept, we, too, are drawn into the excitement leading to the premiere on 25 July 2007. This was the first time that an opening at Bayreuth was shown free and has been available for a fee streamed on the internet. 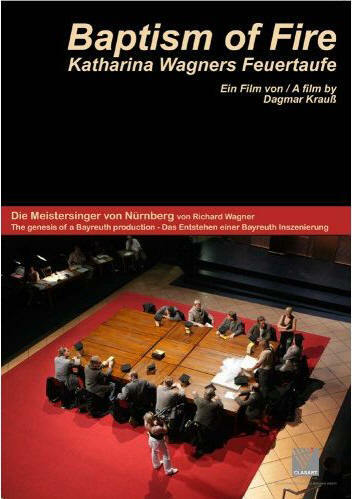 October 20, 2008 Katherina Wagner's Baptism of Fire - DVD presentation of the film documenting the creation of her debut production of Die Meistersinger at Bayreuth 2007. At the Lakewood Public Library. 6:30 pm. Film begins at 7:00. 90 minutes. October 23-25, 2008 Dallas Symphony Orchestra performs Wagner's Siegfried Idyll. Conducted by Carlos Kalmar. Meet for dinner beforehand at L'Ancestral. November 2, 2008 George Steel, new general manager of the Dallas Opera. At Park Towers, 3310 Fairmount, Dallas, TX 75201-1232. Time 4:30. Must RSVP: 214-827-7352. 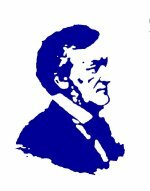 November 13, 2008 Alessandra Comini lectures on The Changing Image of Beethoven, including Beethoven's influences on Wagner. SMU Meadow's Museum. 5:30 p.m. Reception by WSD. December 13, 2008 David Morgan Chamber Music for Clarinet, Viola and Piano. December 13, 2008.